Madison Woolgare balances two sports as a sophomore at Desert Vista High School, competitive cheer and swimming. Athletes like Woolgare are becoming increasingly hard to find, as pressure mounts to specialize in a single sport at a young age. Jennifer Lannon has had a front row seat for this trend as owner of AZ All-Stars Tumbling and Cheer in Tempe, where Woolgare cheers. “Nowadays, it’s so competitive and the parent has changed,” Lannon said. “The parent doesn’t drop off anymore. They drop off and they watch and they will put hundreds of thousands of dollars to make sure that their kid is the best. And if they’re not the best, then there’s something wrong. And that’s a whole different avenue. Turner Thorne said parents who push their children toward one sport are making a mistake. “I think that kids are much better off, if they can and they want to, play two to three sports,” Turner Thorne said. “We encourage kids, even after they commit to us, (to) play a spring sport, you know, do something else because when you get to college, it’s year-round. Research has shown that single-sport athletes tend to be more prone to injury. A Loyola University study found that athletes who specialized were 70 to 93 percent more likely to be injured than children who played multiple sports. According to researchers at Ohio State University, children who specialize in a single sport account for around half of overuse injuries in young athletes. 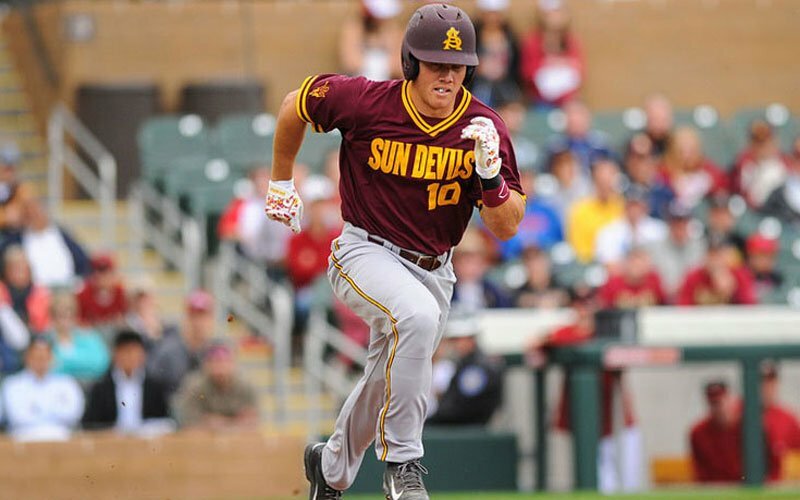 Coltin Gerhart, now in his second year at Arizona State as a member of both the Sun Devils’ football team and baseball team, is a product of a multisport upbringing. Gerhart starred in both football and baseball at Vista Murrieta High School in Murrieta, California. He was listed by ESPN as the No. 41 dual-threat quarterback recruit in the country and hit .359 as a senior for the high school’s baseball team with 18 extra-base hits and 26 RBI. When Seattle Seahawks coach Pete Carroll was recruiting at USC, he said he looked for athletes who, like Gerhart, played more than one sport. Playing multiple sports is difficult enough, but adding on homework and other school activities can make it even harder. Lannon recalled her time in cheerleading, while also participating in gymnastics, diving, lacrosse and soccer in both high school and college, and said she had no choice but to learn how to balance everything. 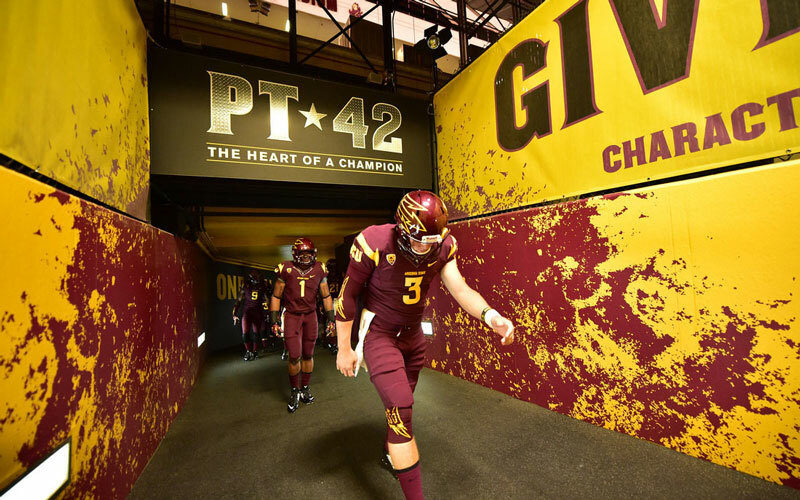 ASU football’s offensive line coach, Chris Thomsen, who played multiple sports in both high school and college, said the busy lifestyle that comes with being a multisport athlete can also help keep kids out of trouble. The issue of balance was a key motivator for a 2009 rules change by the Arizona Interscholastic Association. The rule prevents anyone involved in competitive cheerleading from also participating in high school cheerleading. One big reason for that, according to Lannon, was because many of the athletes were not getting their schoolwork done. While Lannon’s cheerleaders are forced to choose between competitive and high school cheer, they are allowed to take part in other competitive sports, which is something Lannon wholeheartedly supports. “Being in just one sport, if you played football, if you play soccer, unfortunately nowadays, age 9 or 10 years old, these parents get them into a sport and they burn out quickly,” Lannon said. The cheerleader and swimmer Woolgare sees benefits for those who are single-sport athletes. “I think advantages of being a single-sport athlete (are) you have more time to focus on that one sport and make yourself that much better,” Woolgare said. However, she said there is a tremendous benefit to diversification.